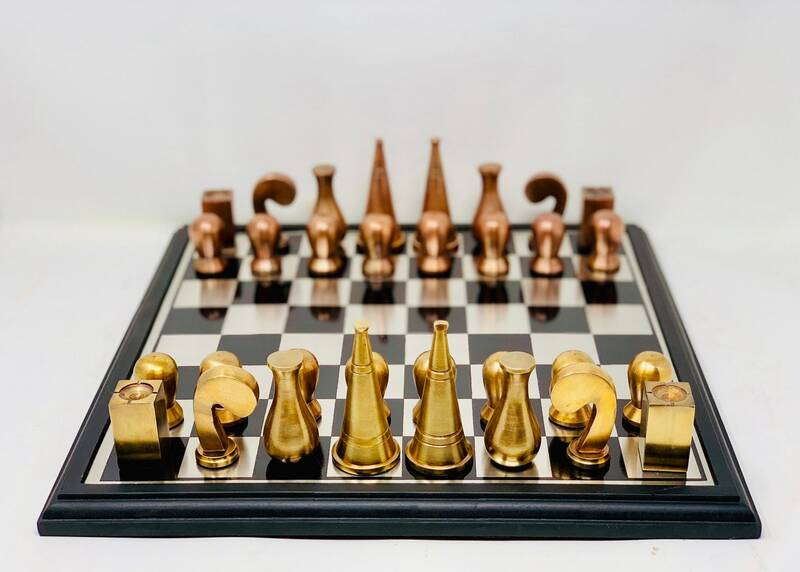 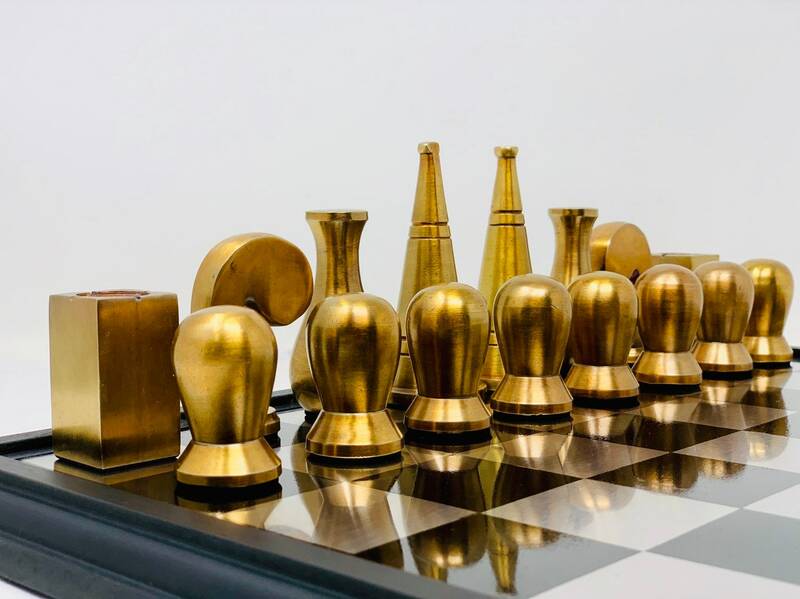 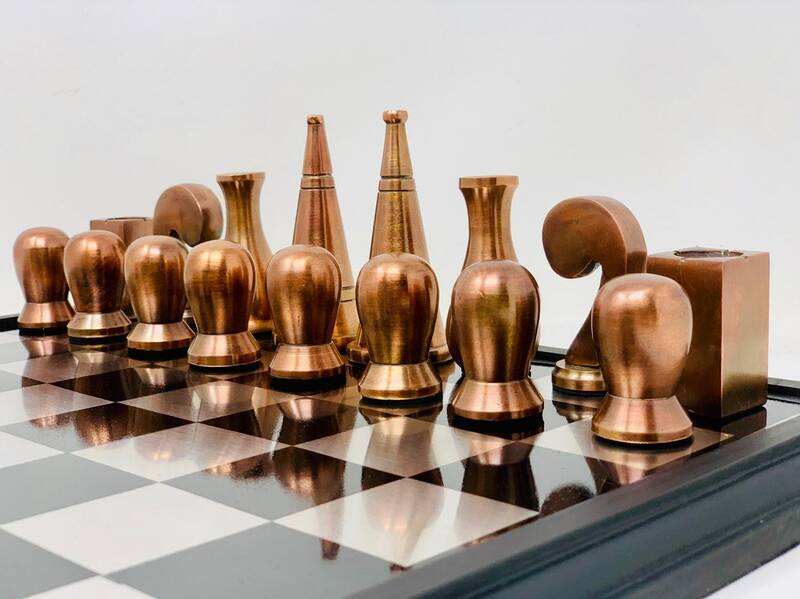 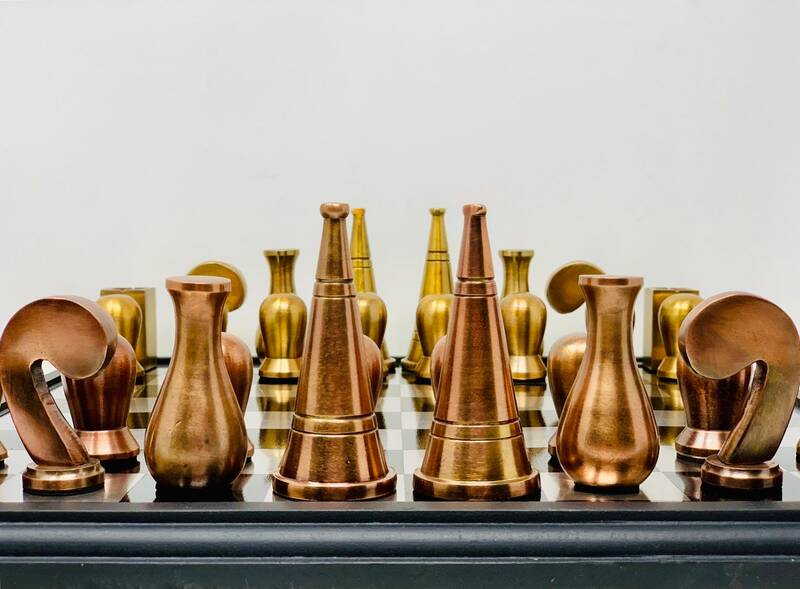 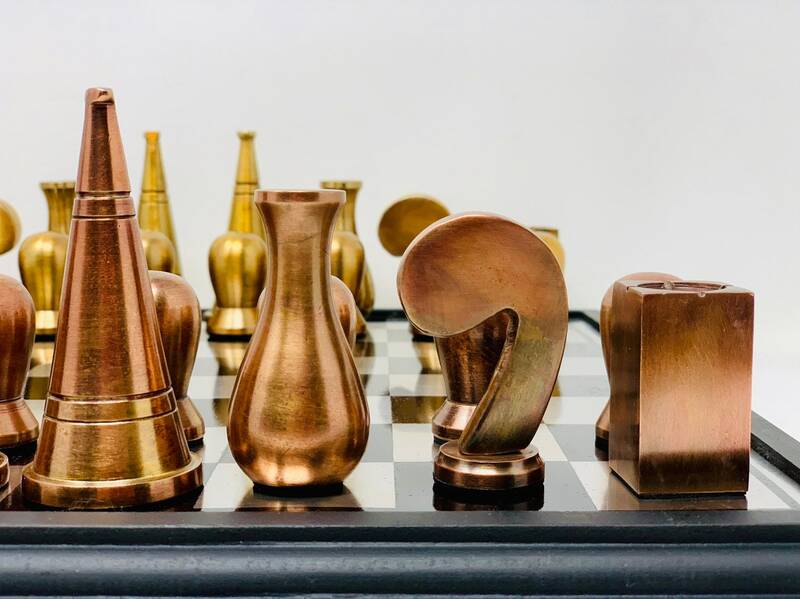 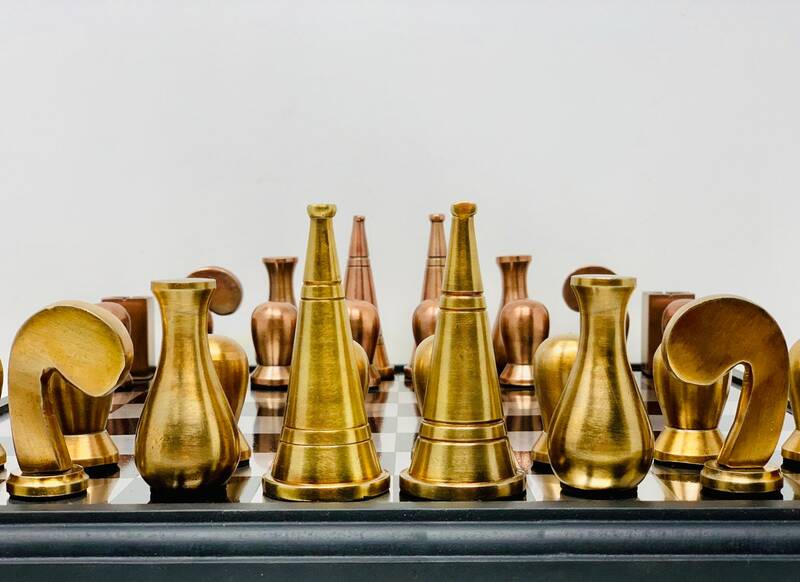 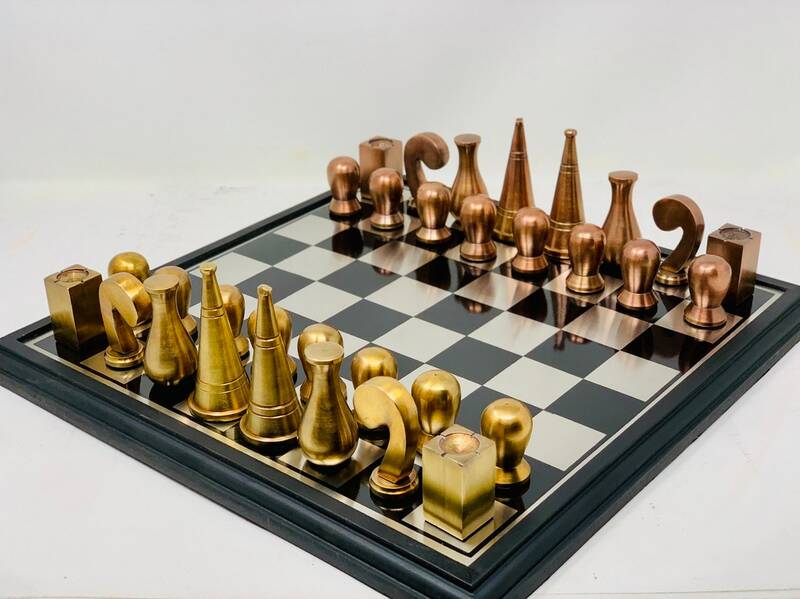 This Surrealist-style Gold edition Chess was created by artist Man Ray with Marcel Duchamp both appreciated for his emphasis on abstract mental processes. 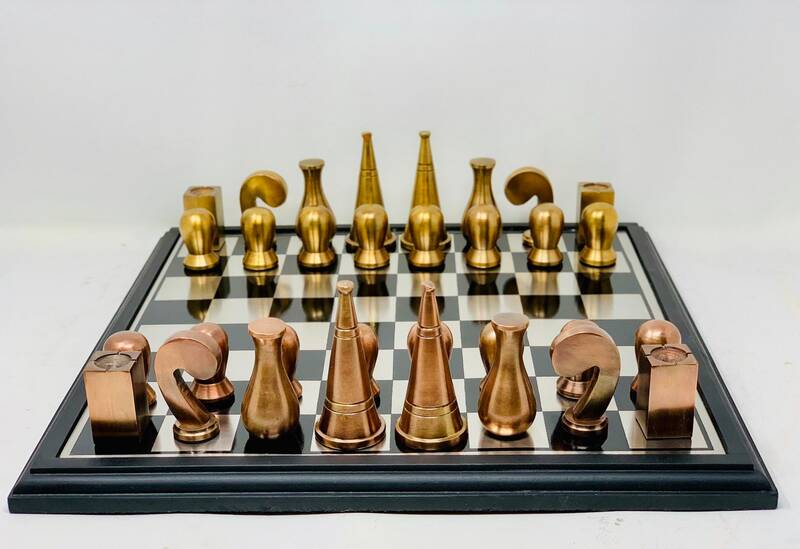 Ray created in 1920 a chess, adapted to the surrealist style of which was one of the greatest exponents. 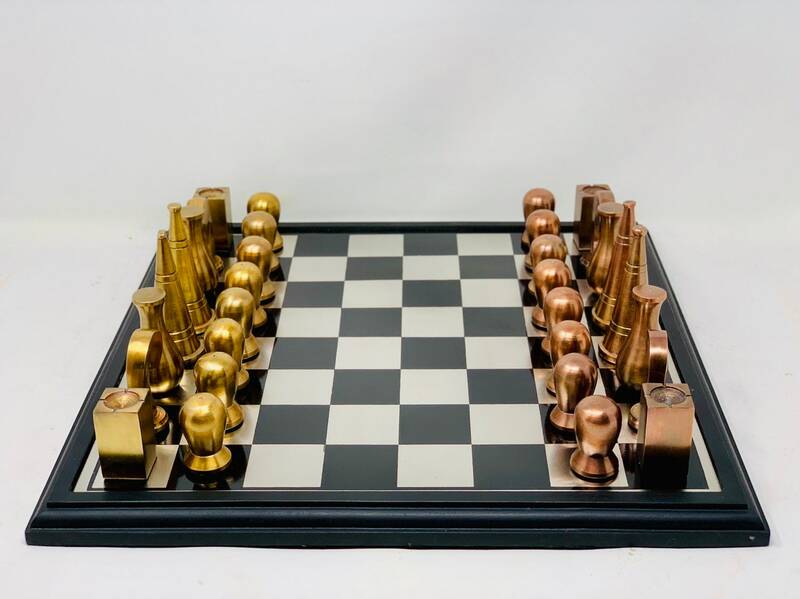 It includes a wooden marquetry exhibition board and metal game body combining the colors of the pieces to give greater aesthetics to this artistic ensemble. 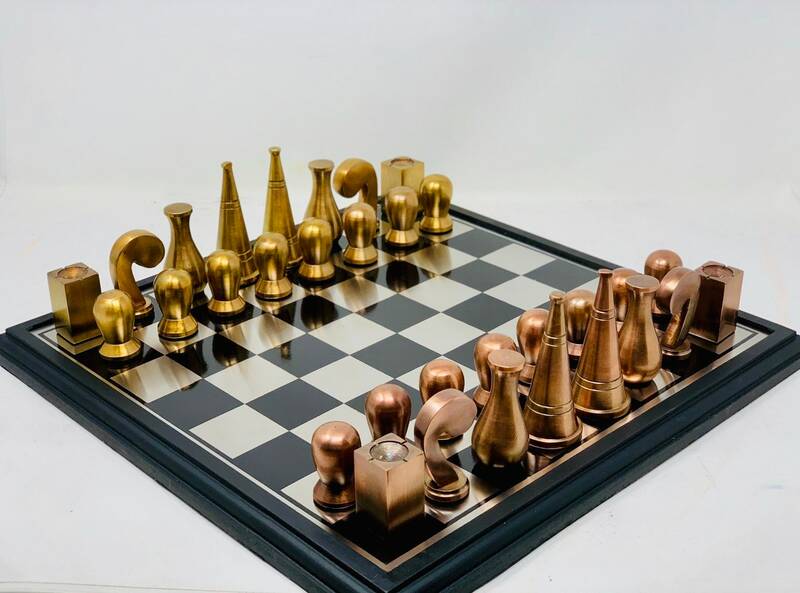 Shipment certified and well packed.